Windows, the word is not associated with home, it is a technology which has change the course of history. Any one who has used a computer would know about the Windows operating system. Microsoft and its founder Bill Gates are one of the most popular figures in technology today. Be a student from a third world country or a research scientist in the west, Bill Gates and Microsoft has an impact on their lives. 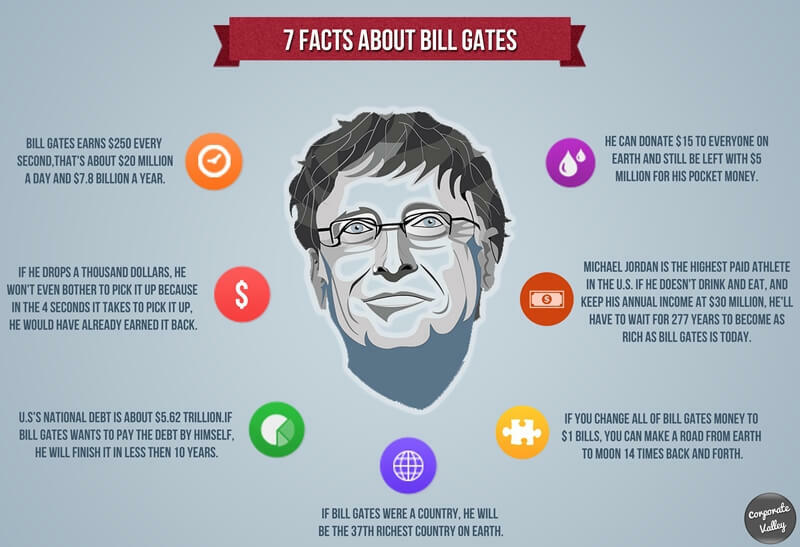 Here is a cool infographics from CorporateValley giving interesting facts about Bill Gates.